The Oaks Aire Table Lamp Is A Quality Cast Brass Table Lamp In A Gold Plate Finish, Dressed With 30% Lead Crystal Sconce And Sphere And Is Complimented With A Simple Cream Drum Shade. The Oaks Lighting Aire Table Lamp Is A Quality Cast Brass Table Lamp In A Gold Plate Finish, Dressed With 30% Lead Crystal Sconce And Sphere And Is Complimented With A Simple Cream Drum Shade. The Aire Table Lamp Is In A Stunning Modern Yet Elegant Design And Is 240 Volt Mains Voltage. 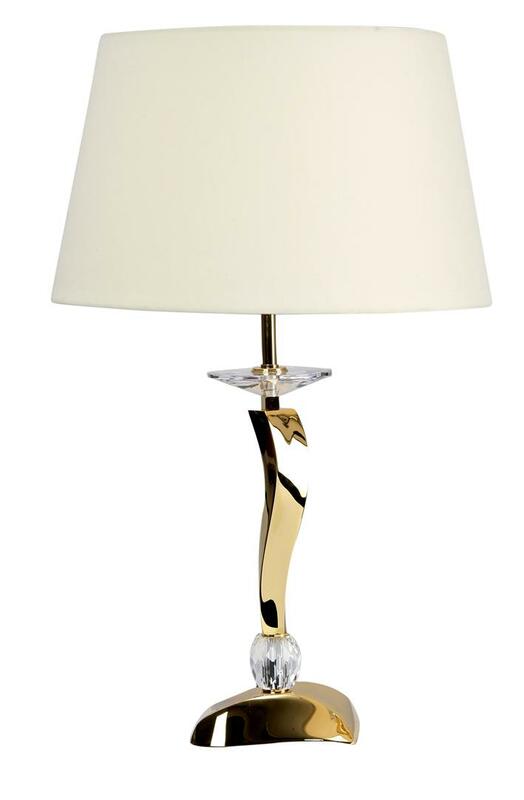 The Aire Gold Table Lamp Will Make A Spectacular Feature In Any Room Of The Home.